The new head of the Roman Catholic Church has taken the name, “Francis,” after Francis of Assisi, a truly remarkable man. In nearly every way the Catholic Church is the antithesis of the ways of the original Francis. The pomp and ceremony witnessed in the weeks surrounding the selection of a new pope is not a reflection of the simplicity and meekness of Christ and those who followed Him. The apostles made certain that they were not honored as anything more than men with a mission. As with so many great men and women, a lot of embellishment has been plastered on the stories of the man from Assisi. I am thinking of one particular saying attributed to him, “Preach the gospel, and if necessary, use words.” He said some wise and wonderful things, but no bona fide record of him having actually uttered this particular phrase exists. I like to believe he really did. It fits what I’ve learned about the man. Jesus said it first in so many ways. In His sermon on the mount, he made sure his listeners knew that what we do is as important as what we say. Truly, truly God is glorified when the gospel is authenticated by salty, light-filled lives replete with compassion, service, love and good deeds (Matthew 5). James takes pains to remind us that faith which produces no works is a dead faith (James 2). There is no room in this short blog to list all the references in the writings of the New Testament regarding the absolute necessity of actions that validate our faith. Trust me, there’s a bunch! Those who claim to follow Christ seem to have forgotten that the world is watching. Every disciple needs to be challenged to find some place quiet and do a little self-examination of the last 24 hours of their life. I mean every aspect. If your faith is validated by your good deeds, have there been any? If your heart is known by your speech, what does your heart look like to your family, school mates, co-workers and friends? If you are known as a follower of Christ, have you humbly served? Have you treated those with whom you have come in contact with love and respect, no matter their station in life? How have you lived when you think no one’s watching? The world can know Christ only by seeing and hearing His followers. 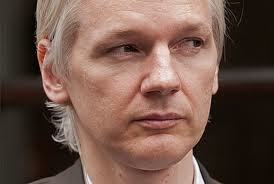 What do you think of Julian Assange and WikiLeaks? A writer could get in big trouble here. Nevertheless, here goes. Personally, I have mixed emotions. I’ve had a few leaks in my life…water leaks that is…and I hate to see them. They mean that I have some leaky pipes, places where rainwater can get in or some other regrettable fault in roof or plumbing. In the case of water leaks, it is better to be aware of them in order to make needed repairs. Fuel leaks, air leaks (drafts), and other sorts of leaks too personal to mention here…all signal problems that need to be dealt with. In the same way, WikiLeaks exposes some faults and problems that need fixing. 1. Somebody with access to state secrets has, for love, fame or money, spilled the state beans. 2. Somebody is sloppy and careless with what they know that could harm others or be otherwise damaging/destructive/dangerous. 3. Someone thinks that keeping secrets at all is counterproductive to their view of how the world should be. 4. There are probably others I haven’t thought of yet (feel free to make a contribution here). It turns out some of our folks have said some less-than-flattering things about leaders in other countries. These have been “leaked” by the informants of Mr. Assange and there is hell to pay. Our State Department is scrambling like a drowning rat to do damage-control. But there are other significant leaks as well. For example, reporters Juan Gonzalez and Amy Goodman have learned from U.S. diplomatic cables released by WikiLeaks that the Bush administration drew up ways to retaliate against Europe for refusing to use Monsanto’s genetically modified seeds. Conclusion: we have more problems than we thought. Monsanto is the very definition of a bully. The rest of the world sees the U.S. as a bully. So one bully is taking up the disgraceful cause of another bully…good grief! 1. It is vital to our nation’s defense, just like any other strategic matter. 2. You’ve got something to hide that, if revealed, will bring you trouble/shame/disgrace, etc. I have been very angry with Mr. Assange for his willy-nilly revelations made without consideration of the potential damage. On the other hand, revelations such as the collusion of two bullies to force their agenda on others need to be exposed to the light. Speaking of light, I can think of another bit of news that everyone needs to know. It is the good news of a way of reconciling the created to their Creator and, hence, to each other. It is a way to have peace on earth and good will among men with whom God is pleased. It isn’t a secret, but we handle it like one. Shame on us! Maybe we need some professional help. So, Mr. Assange, if you will contact me, I will tell you this secret and you can leak it for all you’re worth! 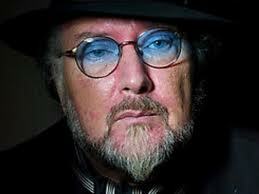 Since I became aware of the death of Gerry Rafferty I’ve been thinking about how we hear so many truths from unexpected sources. For example, it is all too easy to go Back, Jack and Do it Again because You Don’t Always Get What You Want. When You Can’t Hide Your Lying Eyes and Life in the Fast Lane makes you lose your mind, The Devil is Pleased to Meet You (we could go on but I’ll stop with these classics). Rafferty’s rendition of Baker Street, has never failed to move me…not only with its haunting music, but with the truths in his lyrics. In so many ways, they describe the life of Rafferty including his struggle with alcohol and his reclusive spirit. The lyrics speak of misguided struggles leading nowhere, lessons learned but not heeded, of truths realized but never internalized. Sadly, you and I have probably known some pathless pilgrims on Baker Street. Cause he’s rolling, he’s the rolling stone. Rafferty never found the lasting inner peace longed for in his lyrics. From his beginnings as an unwanted child with a dysfunctional family to the end of his life, his history is one of hopelessness addiction and unrealized potential. Would Jesus Christ have made a difference in his life? I think so, but you be the judge. Since Jesus is the bringer of light and life, peace and hope — I believe it would have made a huge difference. And since fellowship with His followers brings comfort, compassion, encouragement and shared strength, I am confident his life could have been very different. Tragically, we shall never know. Look around my friend. Do you see someone on a hopeless highway, trying to find their way home? Help them find the way to a new morning.